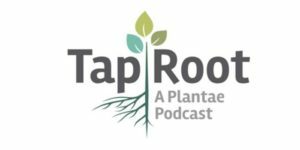 In this episode, Liz and Ivan talk with Dr. Rishi R. Masalia to bust the myth that early to late-career scientists should not speak up and make a difference to training programs and local communities. 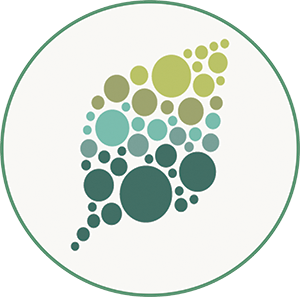 Rishi is currently the Director of Bioinformatics at LeafWorks, a herbal genetics company. Rishi received his B.S. degree from the University of Arizona with a double major in Biology and Molecular and Cellular Biology. 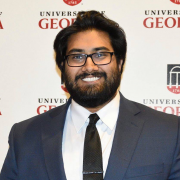 He finished his PhD in Plant Evolutionary Genetics in 2018 with a focus on cultivated sunflower genomics at the University of Georgia. During his graduate training, he co-founded Athens Cafe Observer, Athens Science Cafe, and the SPEAR science communication organization at Georgia. He started out as an ASPB Graduate Student Ambassador in 2015 and he is currently a member of the ASPB Membership Committee and the Plantae Steering Committee. We talk about his recent publication “Multiple genomic regions influence root morphology and seedling growth in cultivated sunflower under well-watered and water-limited conditions” and his transition to industry after his PhD. While his PhD project technically prepared him for a career in industry, he noticed many gaps in his graduate education. We chat about the #ASPBforward movement as we ask questions about graduate training and underrepresentation of early career scientists. Rishi also shares the story of the Town Hall Meeting at the ASPB Plant Biology conference in Montreal, where he stood up and told the board: “rather than talking about us [early career scientists], talk directly to us!”. While Rishi’s experience illustrates the power of “speaking your truth”, we also discuss how speaking up also depends on the individual’s situation and comfort zone. We make recommendations on how to voice your opinion in a respectful manner and suggest finding your people who share your opinions, especially within societies such as ASPB. Masalia, R.R., A.A. Temme, N. de leon Torralba, J.M. Burke. 2018. Multiple genomic regions influence root morphology and seedling growth in cultivated sunflower (Helianthus annuus L.) under well-watered and water-limited conditions. Plos One, 13(9): e0204279.